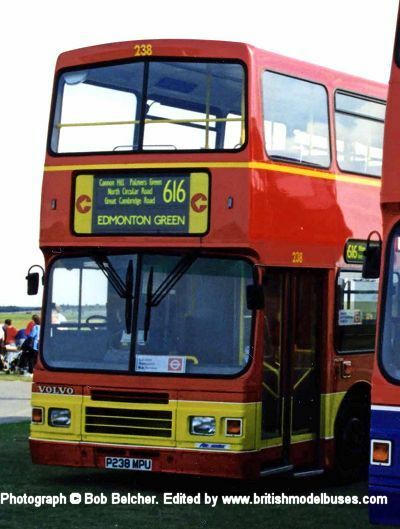 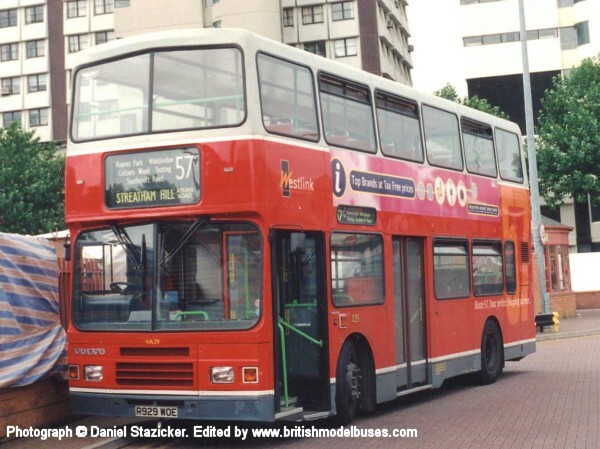 This photograph was taken at Showbus 1997 and shows P238MPU. 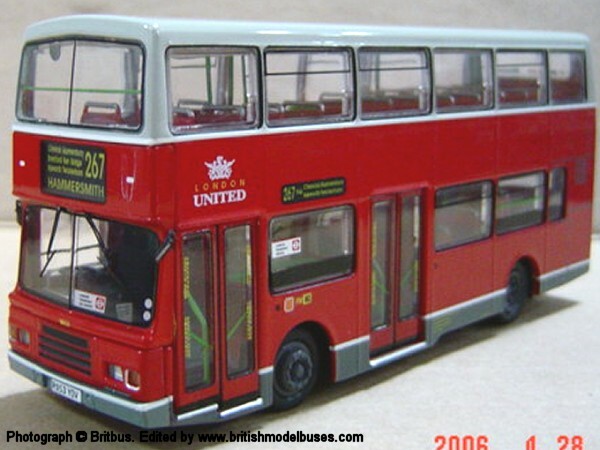 This is the actual vehicle represented by Britbus model R906. 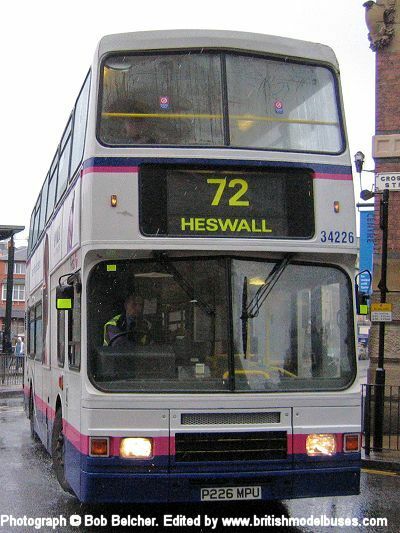 This photograph was taken in Liverpool on 12 October 2005 and shows P226MPU in pouring rain. 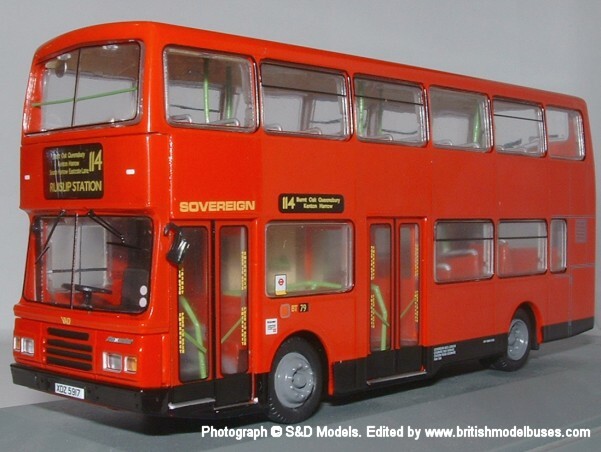 This is the actual vehicle represented by Britbus model R908. 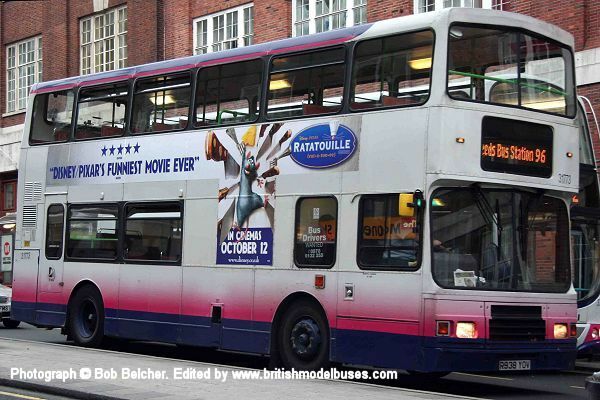 This photograph was taken in Leeds on 15 October 2007 and shows R938YOV. 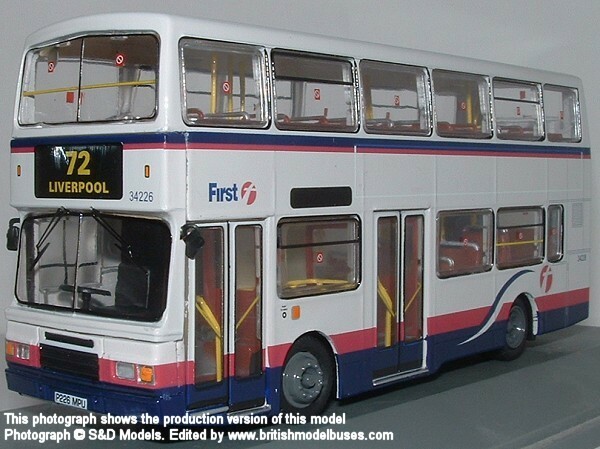 This is the actual vehicle represented by Britbus model R9 001 and is in the same livery as model but is shown after transfer to Leeds. 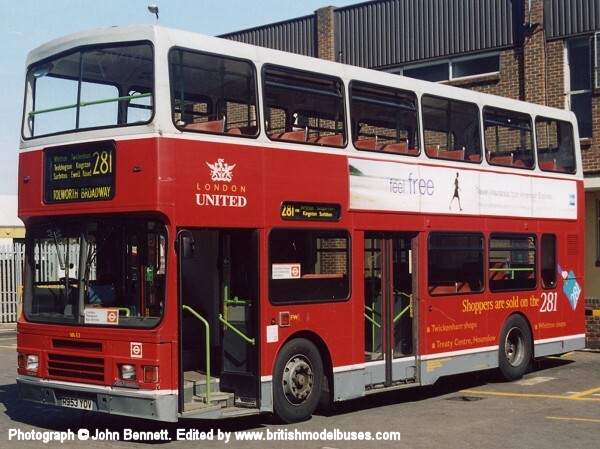 This photograph was taken at Ruislip Station on Thursday 13th January 2005 and shows fleet number VA11 (XDZ5911) on route 114. 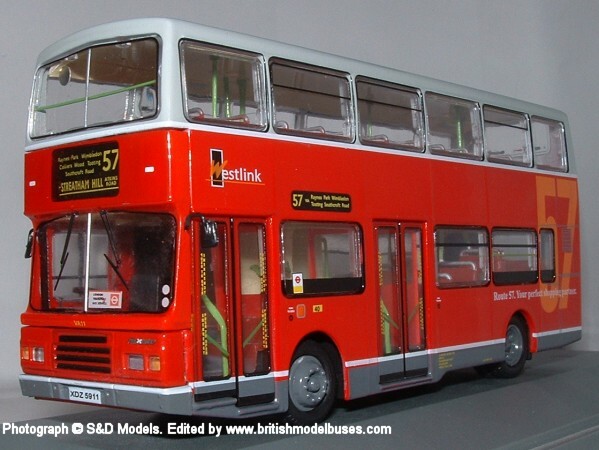 This is the actual vehicle represented by Britbus in Westlink livery as model R904. 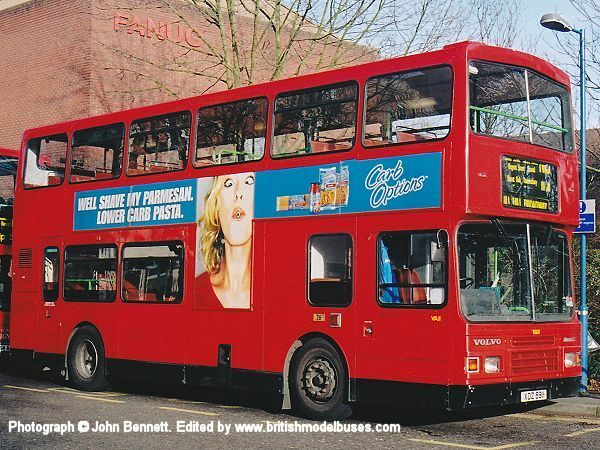 Britbus model R902 depicts VA17 (XDZ 5917) in London Sovereign livery also on route 114. 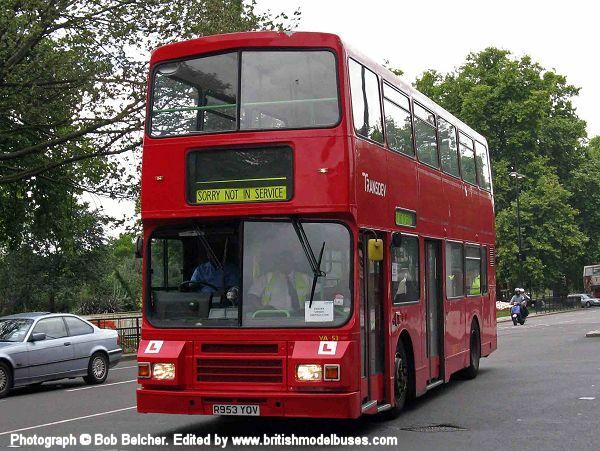 This photograph was taken in London on 3 September 2009 and shows R953YOV working as a driver trainer. 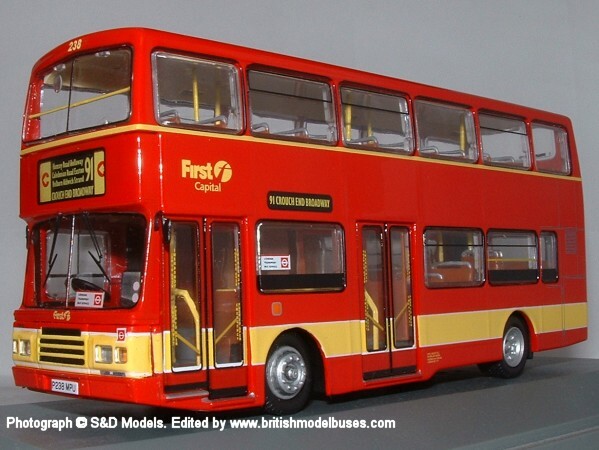 This is the actual vehicle represented earlier in its life as Britbus model R903 (see photograph above).